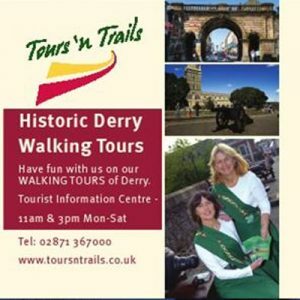 Historic walking tours of Derry~Londonderry, a must for locals and visitors. 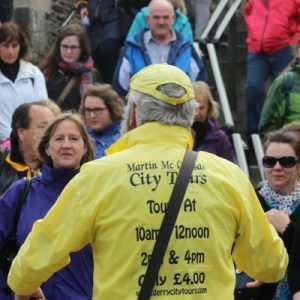 Enjoy ‘local craic’ with local knowledgeable guides Finola and Eilish. 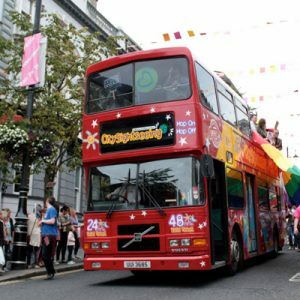 City Sightseeing are a global brand with endless years’ experience in the tourism industry. City sightseeing guides are WorldHost approved ambassadors of the city and the company a WorldHost approved business. 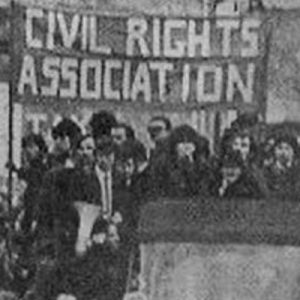 Bogside History Tours is a company set up and operated by two relatives of people who were killed in the Bogside on Bloody Sunday. We aim to explain the events of that day on a walking tour. 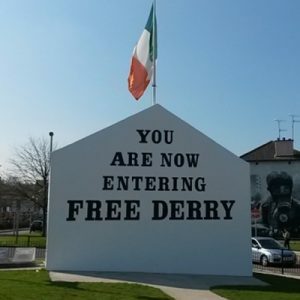 Welcoming tourists, schools and colleges, universities etc. 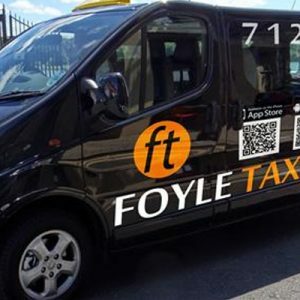 Foyle Taxis have employed local drivers for over 50 years. 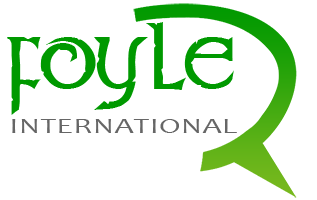 We select only the best to drive for us and all our drivers are approved by DOE.  We specialise in Taxi Tours not only in our local city but throughout the North west of Ireland. 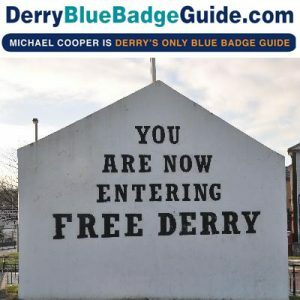 Derry Guided Tours offer political and historical tours of Derry City. 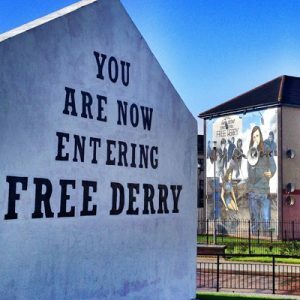 Suitable for groups and individuals these tours range from Derry’s early history from St Colmcille, Nine Years War, Plantation of Ulster, 1641 Rebellion through to the Siege of Derry and beyond.